Super cute. Even better in person. 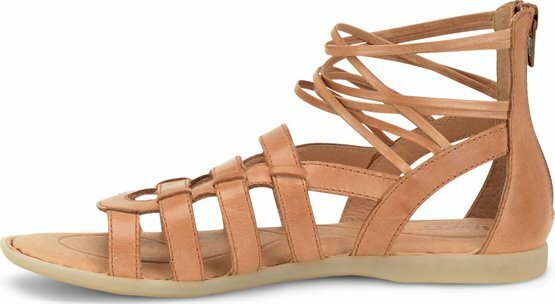 These sandals are great, so comfortable and stylish! I liked them so much I ordered 3 pairs in different colors! I love the metallic finish and nothing rubs or irritates the skin like sandals often can. I have bunions and these don't irritate them at all. I love the quality of Born shoes, boots and sandals, they are so well-made and sturdy. Highly recommended!